Today this ‘mojo-less’ LCA finally found some joy in running sadly lacking in December so far, with a small but fabulous run to support Ben Smith as he tries to break the world marathon record of 401 marathons in 401 days. 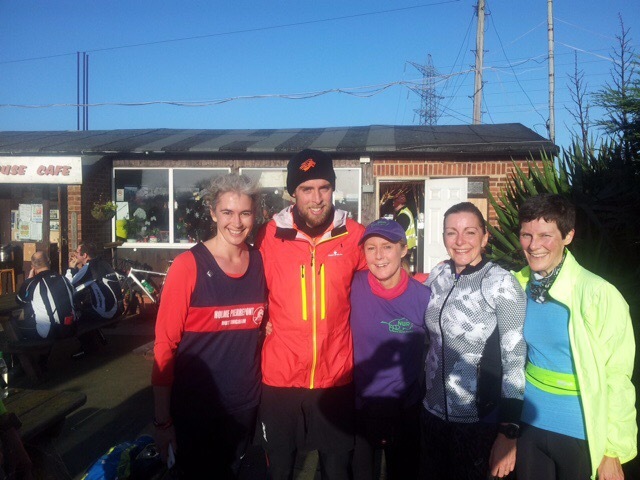 Ben is running across the uk and arrived to undertake two Nottingham marathons planned by Holme Pierrepont running club and supported by Notts Women Runners. If all my favourite runners were supporting Ben’s cause, how could I not support in just a small way? Ben certainly picked a beautiful day. Blue skies, sunshine and yes, it was December. Hard to know that half the country has seen devasting floods but we have missed it all and basked in sunshine although the Trent was running high. Ben is running for a fabulous cause. Having himself been bullied to the point of self destruction, he is running for charities that protect children and their mental wellbeing, a real issue in today’s society where so many children seemingly have it all yet face new pressures that as an over 40, I know we simply didn’t have. Ben tells his own story much better than me…. A small group of runners gathered at the national water sports centre. HPP and NWR together (perfect for me, my usual loyalty dilemmas resolved) I wore my own colours to show no club allegiance ! 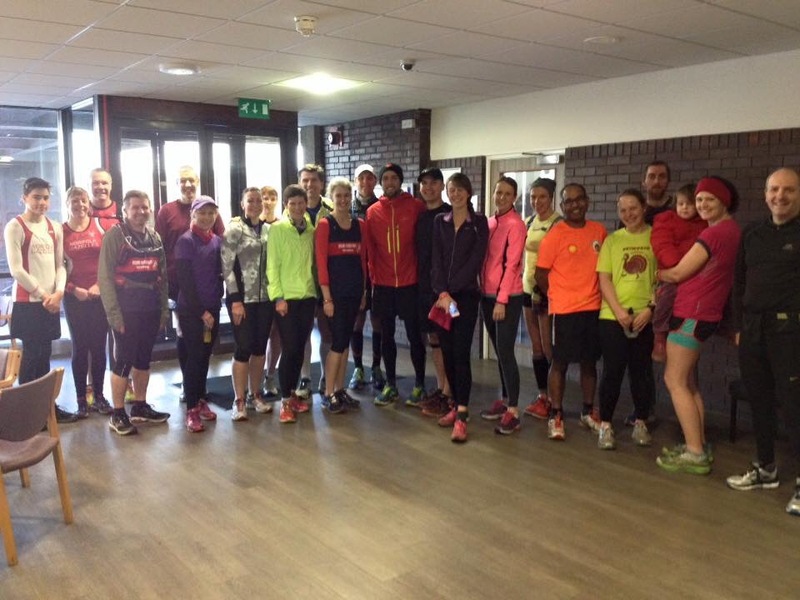 Northampton runners had driven up to run with Ben such is his social media presence. Everyone was in good spirits as we waited for him to arrive. He was chirpy and on time. He’s been running since September 15th and showed no hint of a limp, hobble or shuffle. I went to the gym yesterday and I felt I was walking like John Wayne, all muscles feeling like I hadn’t used them in decades! Ben kindly took selfies, handed out wristbands and off we went. There were lots of runners I didn’t know, all lovely to chat to, it was fabulous to meet you all and Ben made great efforts to chat to everyone. Ben has now been asked to be an ambassador for an organisation to get kids active. Getting teenagers active couldn’t be a better cause. My teenage daughters asked as soon as I walked in, ‘who’s that hot guy you were running with that you put on Facebook? ‘ so Ben, I think you could get teenage girls following you for 26.2 miles by the thousand! Myself and fellow LCA, crazy Kelly, were a little worried, we just agreed to the first leg of Ben’s marathon for today, just 8.3 miles to Beeston Marina. Neither of us have run past 10km (6.2miles) since Autumn half marathons and we were both full of festive excess! Kelly’s weakness, prosecco and pork pie and mine was eating my own body weight in port and cheese the night before! Fortunately the riverside is flat and the pace was steady. One and a half miles to Trent Bridge and at least a dozen more runners were waiting plus Katie and her cow bell, always an encouraging noise to hear……and she had jelly babies! Now 9.30 in the morning and only one and a half miles into a run is a little soon for jelly babies under normal circumstances but festive excess said ‘eat me’, so I did. The sun shone all the way to Beeston Marina and idle chit chat got me and Kelly through the last couple of miles where a warm welcome at the marina cafe was waiting as Grantham runners were waiting to join us. The cafe owner ( who was unbelievably like Ainsley Harriet) gave Ben free cake being impressed by his cause. We said goodbye to Ben at that point. Ok teenage daughters, you are right……Ben, we LCAs are old enough to be your mother but your blue eyes could have kept us gong 26.2 miles !! He amazingly polished off a large bacon butty which barely touched the sides ( how do you run after that ?? ) but the poor guy is trying not to fade away to nothing from his epic challenge. Kelly’s lovely husband drove four runners back to HPP and our cars. I feel he was shocked by how unladylike three ladies could smell in the confines of a small car! He discreetly wound the window down a little. Beeston Marina, 8.3 miles and we made it. Just 17.9. miles left to go for Ben ! Whenever I run with Kelly I always seem to have a pressing engagement and today was no exception. My parents were taking us to lunch at a local golf club and arriving home at 12.15 and needing to leave at 12.45, I pulled off the ultimate LCA fast turnaround, shower, hair done and face on in record time. Still, unlike the rest of the Christmas period, I had a 1000 calorie head start ! Ben has a long way to go, he doesn’t just need to fund raise, he needs physio, accommodation, hair cuts, hot meals as he crosses the UK so if you or your running club buddies can help in anyway, please let him know. Ben it was lovely to meet you, you’ve restored my running mojo, I wish you well. That bullying could almost destroy a person is a warning to all parents of young people, but to see you fight back and refuse to be defined by it is an inspiration. Let others affected know that it will not determine their future.